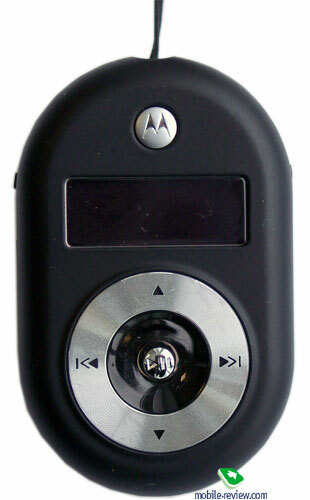 Motorola offers a number of wireless solutions for music, such as Motorola HT820, Motorola S805, Motorola S9 (new model inaugurated at 3GSM) and the highlight of the today’s review, Motorola S705. But for now let us say a few words about each model. The fist headset, Motorola HT820, employing on-ear design, which is not too bulky, yet still very striking, has been in the market for quite a long time (about 2 years). 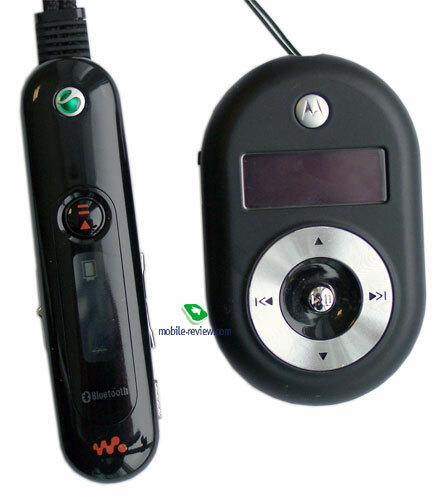 It was sold as a complementary device to Motorola E680, but this combo did not arrive in Russian and even in European market, for some reasons the E680 was meant exclusively for “eastern” consumers. Meanwhile, approximately a year later a large consignment of the HT820 made it to Russia and was intensively promoted in “Euroset”. 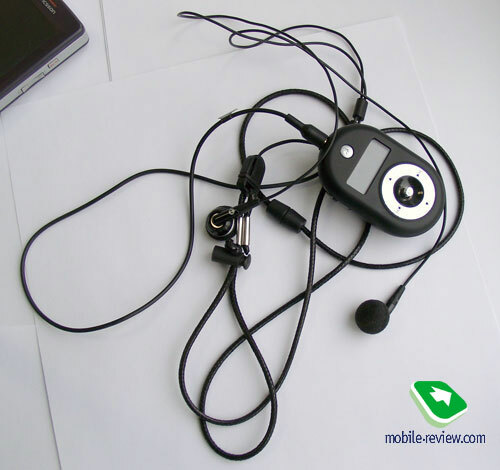 In fact, thanks to this company, the headset became one of the first “easily-bought” gadget, though here this term doesn’t mean “being very popular” as back then (late 2005 – early 2006) Russian market offered only a handful of A2DP-enabled devices, the HT820 was perceived as an exotic device for techi alone. I can’t help saying that I did own one HT820, but used it only with notebook, without ever going out with on-ear headphones on me. In general, the headset is not bad at all, listing the shortcomings, we should note poor battery life and mediocre sound quality during calls (and for music it wasn’t something to show off either). 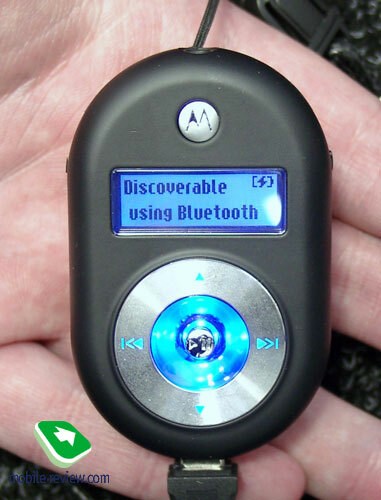 The next device on the list is Motorola S805, also armed with on-ear headphones, which is even bigger than the HT820. It is interesting, that the design itself – large headphones, leather ear pads, and no-nonsense looks – implied high sound quality, but there is none, because of pretty much limited capabilities of the hardware and Bluetooth profiles. Motorola S805 can be found in some branded Internet-shops, though Russia hasn’t seen any official deliveries to date (and it is really difficult to say whether it’s going to make it or not). Motorola S9 is “light” edition of the design applied in the HT820, headband is also on the back of your head, but headphones are in-ear type. I have not seen the device yet, so that is all I can say about it. 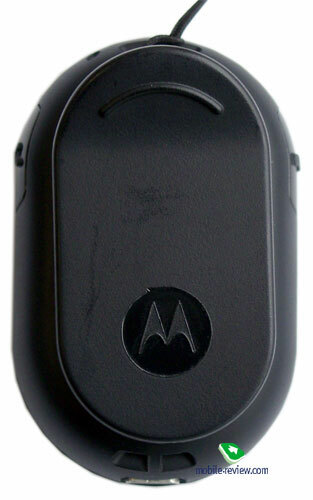 And finally, the most relevant device of the line-up, from my point of view, is Motorola S705, which has a real change to get to be the most craved-for and best-selling offering. As you can see in the photos the headset has been strongly affected by PEBL’s design. What can be said about it? Well, this is just great, that is my subjective opinion. If only the headset was two times smaller, it would be splendid, but it is quite massive - in the photos you may see the glaring difference between Sony Ericsson HBH DS-970 and this model, although functionalities put up by the two are comparable. On the other hand Motorola’s device can boast more substantial battery life, larger display and built-in radio, which make up for its bulky dimensions. In terms of practicality, though it does pretty well, in daily routine the headset is easy to grab hold of it while in pocket and then press any button as the device provides comfortable fit in hand. This comfort is achieved not only through size, but the smooth-feeling soft-touch plastic they used as well. The build quality is excellent without any gaps and squeaks revealing themselves. The front panel holds a monochrome, two-line display, the information on which is very legible in various environments, blue backlighting is pleasant as well. Right beneath display you will find the joystick. On the upper end sits standard 3.5 mm slot for headphones, as well as microphone grill and holes for carrying strap. MiniUSB slot and one more hole for carrying strap can be found on the lower end. The right side plays host to call receive/reject key, the left one houses a multifunctional key. 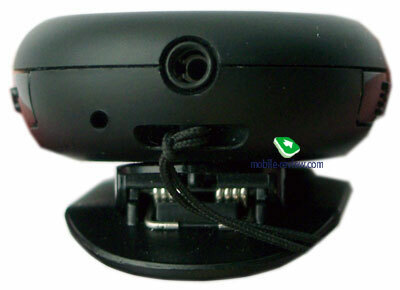 On the back plate is a clip slot, which is detachable, wide and very comfortable to use. The clip itself is very reliable, so that you can easily attach the device to your belt, shirt, jacket, sweater or anything you like, the clip spares clothes, leaving no traces on it. Incidentally, not so long ago I saw a man who attached his iPod Shuffle 2G to the wristlet, headphones cable was of course hidden in the sleeve - the idea got me curious and I tried to do the same thing with the S705, and it turned out to be not bad at all. However while talking you feel like a spy on a mission with the back of your hand at your mouth, sounds like “I repeat, my name is J-a-m-e-s B-o-n-d”. On the other hand, in winter it is a breeze to control playback and answer calls without spending the time on zipping your jacket open and taking the gadget out of pocket. The thing I really like is the sales package, where you will find almost every last thing you might need, but in the place of the pouch, a small box made of solid fabric with foam-rubberized gasket would look more adequate as the offered pouch does not protect the device at all and makes for twisted wires. What is more, these twisted wires is my scourge and the thing that disturbs me the most, when I have to get one particular device out of a pile of gadgets where all wires are twisted and tangled, and to do that I need to untwine all knots, I praise companies that add pouches, bags, box and etc. to the standard kits. But it is better when they are of a good quality and well-designed. You are free to carry the headset on the neck or attach it to the clothing with the clip – it’s all up to you. Should you use custom long-wired headphones it will become much more comfortable to turn to the clip rather than a carrying strap. Incidentally, the default headphones comes with a rather long wire, so using it along with a strap you will get a terrifying jumble with tangled wires (my greatest nightmare). Device management process is quite run-of-the-mill, I think practically no user can find here anything new here (however in case it is your first device of this kind, you might have some questions). The faceplate boasts the joystick on it, whose lateral movements serve for rewind/fast forward, search in FM radio mode, item selection within the menus, while vertical – for adjusting volume and browsing the menus. By pressing the joystick you stop and resume playback in player mode, in radio mode volume gets turned off with this. The right-hand side features pick/hang up key, while on the opposite spine you will find the multifunctional key, doubling as the power button, apart from switching to the menu from the pairing mode. I suppose, having read this paragraph most of you will say: “How sophisticated everything is”. Believe me, it is not so, in real life it will take you a few seconds to master the controls and the same amount of time to get used to it. Joystick’s travel is quite small, plus keys presses are accurate, thus pushing a wrong direction is next to impossible. Bottoms on the headset ends are soft, they are easy and pleasant to touch. I believe, in this part of our review we have the right to say about what you can find in the menu. The display as you can see accommodates two lines, blue backlighting does not irritate the eyes. Upon switch-on you see the company’s name and logo, and then you get to the standby screen with “Discoverable using Bluetooth” on it. 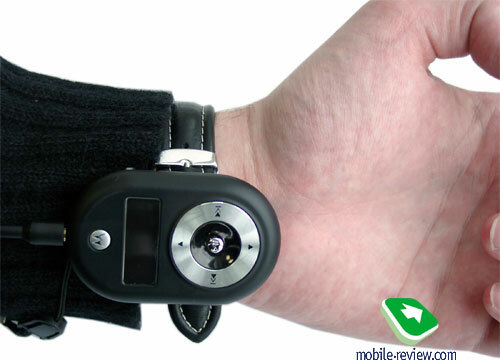 That means the device is ready for pairing up with handset, notebook and etc. Having pressed the multifunctional key you’ll jump into the headset menu, which comprises the following items. Radio. Well what more could we possibly say about it? It plays songs. Pressing the joystick horizontally you can search through the frequency range. If you want to turn it off, go back to the menu using the multifunctional key and move the joystick down. We’ll talk about reception and sound quality a bit later in this review. After radio there is an incoherent list of devices which the headset is paired up with. Why haven’t they introduced a special item called “Devices” where saved data could be put into - I have really no idea. The next section is dedicated to language: the list contains English, Spanish, German, Portuguese, Italian, French and two unknown languages with hieroglyphs. Russian is unavailable as of today, but I’d like to hope that the device will arrive in Russian market fully localized. The claimed battery time makes up about 7 hours of talk time and about 75 hours in standby, these numbers are close to the real ones. The battery is more likely to be a Li-Ion cell – it’s my guess based on the device’s size. Testing it was quite simple – continuous playback at top volume of the same track in pair with Samsung D600 repeatedly and about 5 and half hours in the end, of course, the headset was fully charged. In radio mode the figures were pretty much the same. While using the headset in city (music and up to an hour of calls) the S705 stays online for about 2 days. This result is quite good, after using the DS-970 for quite a while, the difference is quite striking. The standard MiniUSB slot accepts any cable with this plug, the device seamlessly charges via A notebook. It takes the device about two hours two charge from empty to full. 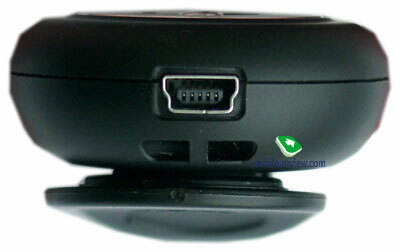 The headset was tested with Samsung D600, pairing was done without any problems, the code was standard – “0000”. I have already said how to switch the headset into pairing mode. After the first connection the device will start coupling with the handset automatically, this function works in a proper fashion. Speech transfer quality is average; there is a good chance that the S705 doesn’t have DSP embedded. If that is so, a solid “Good” rating is guaranteed, the person on the other end hears you pretty well, and so are you. Though most of people usually instantly guess that are you talking not via your handset. During a call name and number can be displayed on headset’s screen, but, as far as I got it, this function is available with Motorola’s handsets only, while other devices, specifically the D600, fall flat in this area. Now as regards music and everything that has something to with it. The headset comes equipped with Motorola S200 headphones, claimed to be hi-fi stereo headphones on the manufacturer’s site. The design is quite interesting, as the reverse side houses a grill, which might be here either for the appearance’s sake or to amplify sonic experience, whatsoever. The fact is, that these headphones appealed to me very much, as they seemed better than any current solutions by other manufactures (the HPM-70 by SE, headphones coming boxed with Nokia 3260, N91). Being small in size and comfortable they fit in your ears just fine. The sound volume is very high, so people around can enjoy music together with you - in Moscow underground such music fans are the most beloved persons that are always asked to turn the volume up. Music quality, I say it again, is admirable; I even deliberately picked a handset without much prowess in the music department for the test. Music aficionados, probably, will be disappointed, but to the ordinary user the quality will seem excellent. To my surprise, rewinding was available with the D600 which is quite rare thing, as even the DS-970 by SE does not offer such functionality. In general, playback management via headset is a breeze; the only tiny letdown is a two-second delay in response to key presses. Unfortunately, the information on currently playing track is not displayed on the screen, which also goes for the earlier devices. It is really a shame, thus you are bound to stare at “Streaming” title all the time, and as you know navigating through the track list blindfold is quite a challenge. And now a few words on the radio. Everything works quite well, automatic search is accurate, the reception is what you can rely on, RDS is available, allowing you to see the information about radio station. On incoming call with music playing, the headset pauses playback and resumes it when the call is over, but you might stumble upon some issue, if you are using the S705 with a device by other brand. With the D600, for instance, the connection got broken up, but this was only a one-time problem. Redialing, as well as voice dial, works just fine. Generally speaking, the S705 has shown itself as an undemanding device, good in terms of music, average when used as a headset, yet providing reliable connection quality and sufficient functionality. As you can see, the letdowns aren’t big; what is more, the headset’s advantages totally outweigh them (except the absence of track title on the display). Initially, the device will be available for 100 USD and more, however, to me, that bottom level is the most adequate price. By the way, there is no official word on whether it is arriving in Russia yet. The S705 has no rivals, as in the market there are no headsets with LCD-display, built in radio and the ability to work with your own headphones available; Nokia HS-12W doesn’t count for one, due to being dated. Hence, the S705 has a very bright future before it, and personally I’m giving it the “Recommended” title, especially to owners of Motorola-branded handsets.